I can’t believe it myself but this little pot of BB Cushion changed my mind about using BB Cream for acne prone and clogging pores like mine. This product is one of my steals from my shopping trip in MyeongDong, Seoul, South Korea – from one from one of Korea’s cosmetic conglomerate “Amore Pacific”. Amore Pacific has created many cosmetic lines under it, with Laneige, Innisfree, Etude House, etc being some of its more popular brands. IOPE (pronouced as “ah-ee-oh-pay”) belongs to the mid to high range brands, and is sold in Aritaum (Amore Pacific outlet that carries only selected Amore Pacific products which are around mid to high range) and Watsons in Korea. It began with my colleagues asking me to help them purchase a few Korean skin care and cosmetics. This item was on the order list because it was part of product placement in the korean drama, You Who Came From The Stars (来自星星的你). The character, ChunSongYi had used this BB Air Cushion in one of the scenes. Since this drama was heavily followed by viewers, this item was selling like hotcakes in Korea – so much so the shops had to control the quantity each customer can purchase with a single credit card! What is BB Air Cushion? Unlike conventional packaging for BB and CC creams, BB Air Cushion means it comes in a thick compact that carries cartridges of product which are replaceable. Within each cartridge, you will find a sponge that will help to “soak” up the BB “lotions” (I think its more like BB lotions than creams coz they tend to be a lot less thick). Each compact or refill pack will come with a purpose-made puff that you should use to “pat” or “tap” onto the BB lotion soaked sponge so that you can pick up just enough BB lotion to apply by patting lightly on your face. As the BB lotion is thin, you may layer on the product if you need more coverage. There are currently a lot of Korean Cosmetics companies who are selling BB Cushions, but I have read it somewhere, that Amore Pacific is the first company that developed BB Air Cushion and this was, accordingly, followed by other cosmetic manufacturers. I did not experience any breakout since the day I started using this product. It last about 4 to 6 hours on my face if I do not spend 15 mins walking out of my office under the hot sun to grab my lunch. 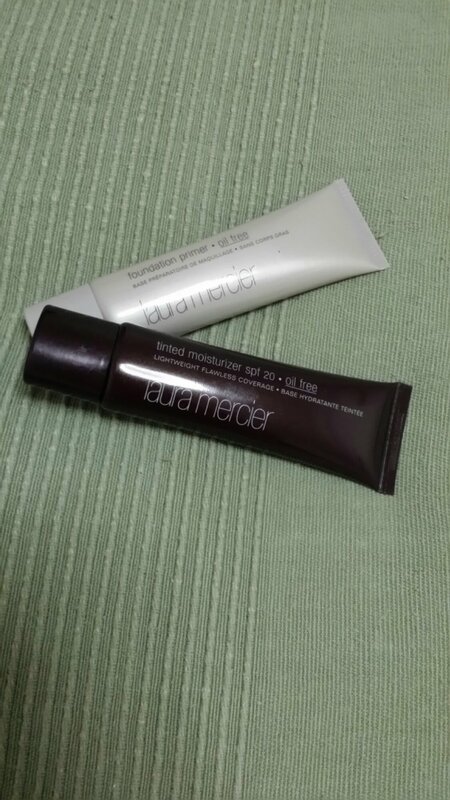 The layering is good and I think the sunscreen is a big plus if you live in hot and sunny places in asia. In terms of camouflaging pores, I think it has decent pore coverage (note: do not work for super large pores or scars, okie – only up to visible open pores) after you have applied it for a while – it made my skin looked good (even when I had an awful night of poor sleep quality) and healthy. I usually apply without primers. 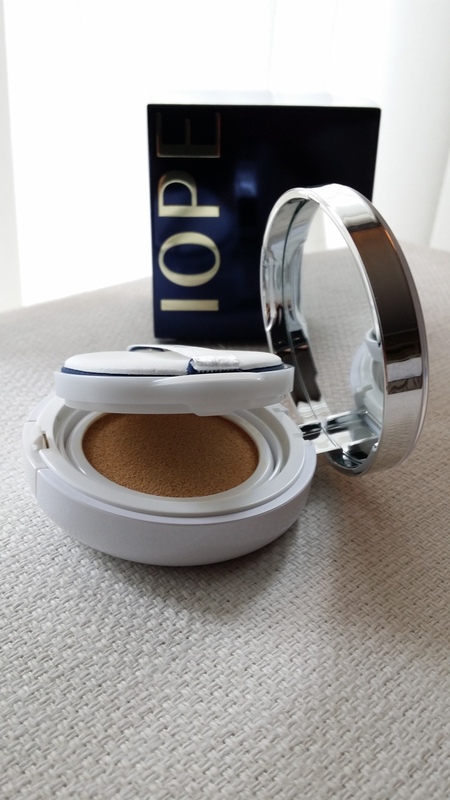 Shade wise, one must realise that the shade for IOPE BB Air Cushion XP is not the same with other BB Air Cushion, even if the brands belong to the same Amore Pacific family. For example, N21 for Laneige BB Cushion suits me better than N21 for IOPE BB Air Cushion XP (whiter than Laneige). I had to use N23 for IOPE to get a more natural look on my face. In a nutshell, either you test the shade at your nearby counters or purchase it cheap online or overseas to test before jumping in to stock up! 1) Qoo10 – search for “IOPE” should land you a list of vendors that carries the product. Some of them are having good discounts for the product (less than S$40 per box with a refill cartridge). 3) Ask a friend who is going to Seoul, MyeongDong to grab it for you at local rates. If he/she is able to obtain VAT refund, even better!